When looking to sell a home it is best to present a house or property that is appealing and “move-in” ready. Data shows that staged properties will sell faster than homes that have not been staged; this includes a shorter time frame from the date of listing until the day of the closing. At Real Estate Experts, we stage all of our listing. 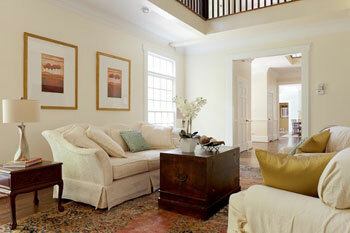 We have a great deal of experience with staging home and, when necessary, we bring in outside stagers. Here what one of our seller’s had to say about how we staged their home and the outcome! We have dozens of other examples if you want to see more. Also, ASK US ABOUT VIRTUAL STAGING AND HOW THIS CAN HELP YOU SELL YOUR HOME. When marketing a home for sale in print or online (through an MLS listing), staged homes simply look better. When a buyer is scrolling through options on a website, in a magazine or any other type of print publication a staged home will stand out. The Real Estate Staging Association completed a recent study in which 63 homes were on the market but were not staged. These 63 homes sat on the market, on average, for 143 days before the homeowners gave up and called in a professional home stager. Those same homes were staged and received their first offer, on average, 40 days after being professionally staged. This means the staged homes sat on the market for 72% less time. A 2013 study by the Real Estate Staging Association found that homes, not staged, would sit on the market, on average, for 143 days. Those same homes, once staged, sold, on average in 40 days. This means it is better off for sellers to stage their home before having it listed as it will sell 87% faster. Check all the doors and cabinets to make sure they open smoothly. Repair if needed. Re-caulk or re-grout showers, tubs and sinks. Touch-up cabinet paint in bathroom and kitchen. Replace missing or broken tiles. Replace the garbage disposal if needed. Air out and clean inside of cabinets and under sinks. Always make certain mirrors in the bathroom, and anywhere in the house, are clean. Mirrors can greatly aid in making a room look bigger and more beautiful. If the mirrors have not been Windexed or cleaned in several weeks it will make the property less attractive to buyers. If you need tips or assistance selling your house in Chapel Hill, Durham, Carrboro or Chapel County contact us today at 919-928-5131. Anyone that has watched some of the “house selling” project shows on HGTV knows how important it is to show the right home. By using the proper staging techniques your house could look much more appealing to a buyer that was on the fence about making a purchase. With many options available on the market you want to make certain that your house looks as good, if not better, than the comparable homes in the neighborhood, zip code or local area.